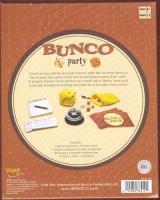 Bunco is a popular Ladies Night Out, social interaction dice game that has been around for years. 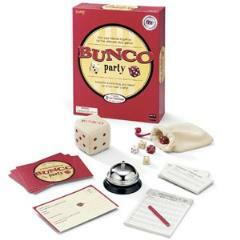 Bunco is usually hosted in homes, as a party, with an average of 12 players attending. Game includes 12 dice, pink fuzzy die, dice bag, bell, score pads, pencils, 12 party invitations and instructions.